Researchers for the Mayo Clinic identified seven “ideal physician behaviors.” Patients want their doctors to be “confident, empathetic, humane, personal, forthright, respectful, and thorough.” (2) If a physician can master these attributes and demonstrate true compassionate care, patients are more likely to follow medical advice and instructions and practice self-care, leading to fewer hospitalizations and faster recovery. Conversely, poor communication and lack of compassion can lead to repeated treatments, costly rehabilitation, complaints, and even higher incidence of malpractice lawsuits. In order for communication to be effective, it must be active, rather than passive. When speaking with patients, physicians should listen attentively by using eye contact and focusing on the patients’ verbalized concerns. Before interrupting a patient, the physician should listen to them and ask open-ended questions to encourage the patient to speak freely. This may even help to uncover patient symptoms which may have previously gone unmentioned. Empathy also goes a long way in establishing a healthy doctor-patient relationship. Although patients might be misinformed, over reactive, or even stubborn, taking their side into consideration creates an environment of trust. For example, many patients may feel embarrassed, or even scared to admit certain behaviors to their physician for fear of judgment. If the physician can convince the patient to be honest by empathizing with their situation, the overall quality of care will be much greater, as will the outcome of treatment. Many studies point to collaborative communication as a cornerstone of effective treatment. (3) This type of care standard is indicated by open discussions regarding treatment options. Often, practices are limited by standardized protocols; but if there are treatment options available, the care becomes dynamic and the patient is more likely to follow through with treatment. By establishing a number of options, patients feel as though their care is being tailored to their specific situation and needs, which adds another dimension of trust in the physicianpatient relationship. 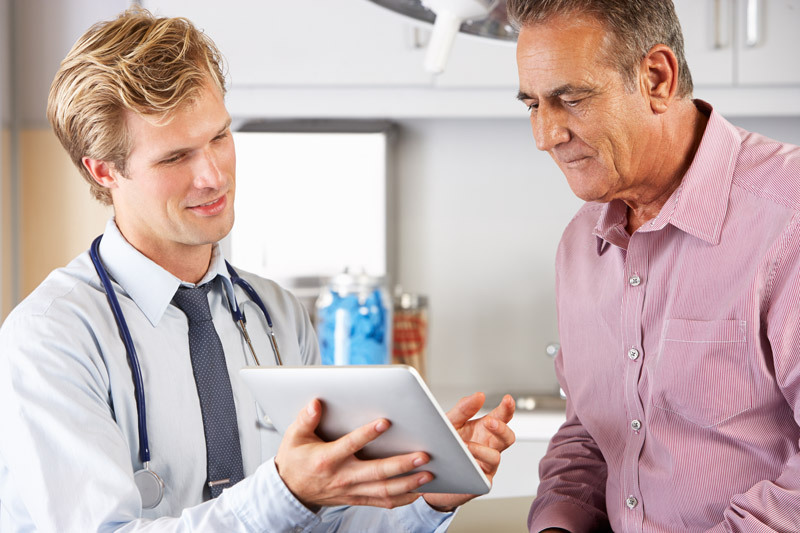 It is becoming clear that the physician-patient relationship is evolving. In the past, physicians were regarded as the single source of medical advice and information was not as readily available. In the age of technology and internet, patients are becoming more educated and increasingly involved in their treatment and this has influenced the way in which communication is established. Many insurance companies recognize the importance of this aspect of care and are focusing many of their risk management courses on effective communication. If you have questions or concerns about risk management and would like additional information, please contact Diederich Healthcare. Tounge J.R., Epps H.R., Forese L.L. Communication skills for patientcentered care: research-based, easily learned techniques for medical interviews that benefit orthopaedic surgeons and their patients. J Bone Joint Surgery Am. 2005;87:652-658.